Deveined Prawns – 1/2 kg. Chopped onion – 250 gm. Chopped tomato – 250 gm. Red chillies (Kanja molaga) – 3 nos. 1. Heat oil in a pan and add saunf and curry leaves. When saunf sizzles, add the chopped onion and fry till it becomes transparent. 2. Now, add ginger garlic paste and fry until its raw smell goes off. Then, add the chopped tomato pieces, and fry well until the onion, ginger garlic paste, and tomato blend well. 3. Now, add turmeric powder, chilli powder, coriander powder, and little water. Then, add prawns. 4. Fry for 2 minutes and add ground coconut paste, seedless red chillies, and salt. Boil for 4 minutes and then add tamarind paste and coriander leaves. Again boil for 2-3 minutes and bring the pan down. 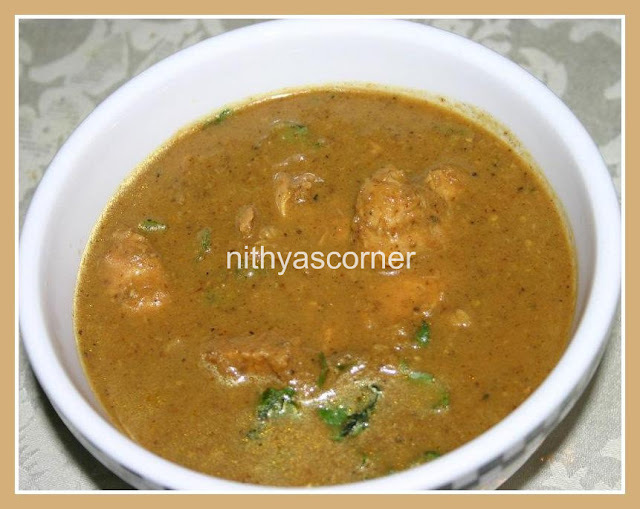 Now, Chettinadu Prawn Iguru is ready! Goes well with Dosa, Idly, Rotis, Chappathis and Rice. You can also used boiled prawns. This entry was posted in Seafood, SIDE DISH & GRAVY FOR ROTIS/NAAN & IDLY/DOSA on November 22, 2014 by vikashbhardwaz. Big onion (Chopped) – 3 nos. Tomatoes (Chopped) – 3 nos. 1. Heat oil in a pan and add chopped onions. Fry onions until they turn light brown. Add ginger garlic paste and curry leaves. Cook till the raw smell of ginger garlic paste goes off. Add chopped tomatoes and fry well. 2. Once the tomatoes turn mushy, add chilli powder, turmeric powder, and salt. Fry for three more minutes. 3. Add two cups of water and let it boil well. Then add two cups of coconut milk and boil well. 4. Add crab one by one. Cook the crab for two to three minutes on one side, and then turn the crab to cook on the other sides. Do the same for the other crabs also. 5. 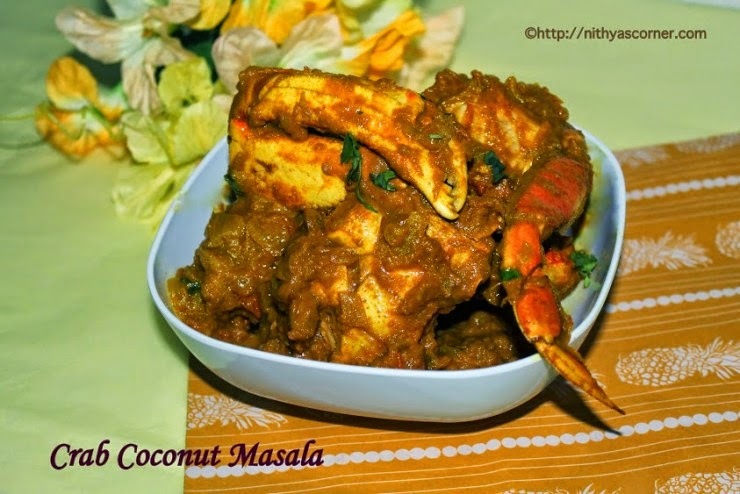 Turn the crabs often and boil well until the masala thickens well. When the crab has absorbed the curry well and becomes dry, switch off the stove. Garnish with coriander leaves. 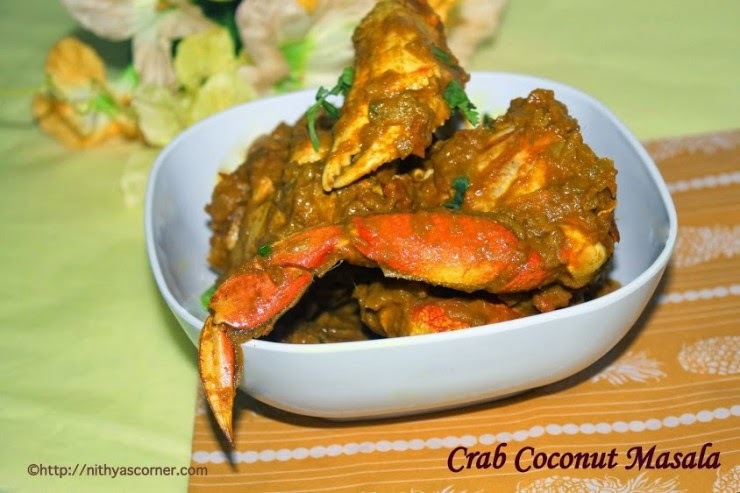 Now, Crab Coconut Fry is ready! If the crabs are very big then you can cut them into halves or smaller portions and use them. If the crab has cooked then its shell color would change to orange. This is one of the ways to check if the crab is cooked. The onions and tomatoes blend well and result in this mouth-watering dish – Shrimp Tomato Masala. 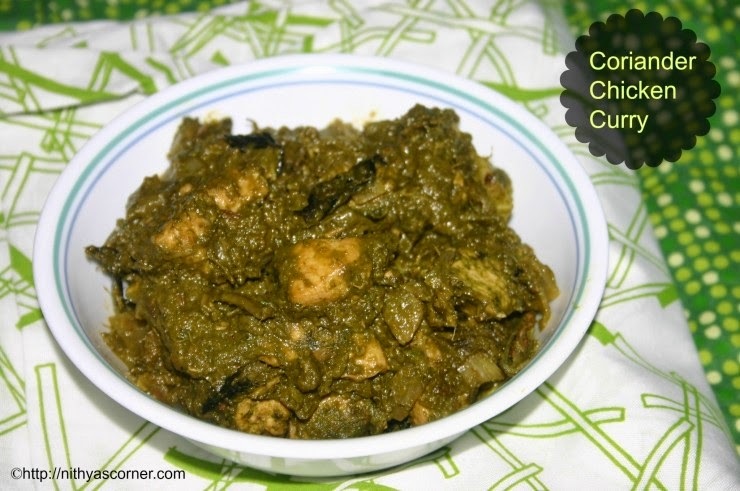 My family’s favorite dish…we love to have this masala along with curd rice and chappathi. Oh…not to forget the fresh curry leaves…it simply adds a fresh flavor to this mouth-watering dish. Chopped big onions – 2 nos. Chopped tomatoes – 3 nos. Slitted green chillies – 3 nos. 1. Clean the shrimp by cutting off its head and tail. Devein it. 2. In a pan, heat oil. Add onions and ginger garlic paste. Saute till the raw smell goes off. 3. Add green chillies, tomatoes, and curry leaves. Cook till the oil seperates. 4. Add turmeric powder, chili powder, coriander powder, cumin powder, garam masala, and salt. Fry for 4 mins. 5. Add shrimp. Cook till the water evaporates. Shrimp should blend nicely with the masala. Do not cook for more than 10 mins otherwise shrimp will become rubbery. 6. Garnish the shrimp tomato masala using coriander leaves. Now, Shrimp Tomato Masala is ready!!! This entry was posted in Seafood and tagged Curry Leaves, Garam masala, Turmeric Powder on November 22, 2014 by vikashbhardwaz. A perfect dish to have with Kothu Parotta or simple parathas! My family just love this dish a lot and ask me to make it frequently. I learned this recipe from EnSamayalPakkam Blog.For those days when we don’t eat non-veg, I substitute chicken with potatoes. When I make lot of dishes for my guests, I definitely add this one to my list of recipes. My guests just love this dish a lot. It does not consume a lot of time and energy. Thank you EnSamayalPakkam for sharing this tasty Salna. Definitely, a dish that is very easy to make! 1. Marinade chicken using turmeric powder, chilli powder, lemon juice, and salt for 30 minutes. 2. In a pan, add 2 teaspoons of oil and fry onion, ginger, and garlic until onion becomes transparent. Then, add tomatoes and coconut and fry for 4-5 minutes. 3. Grind the ingredients given under “To Grind”. Then, grind the sauted fried onion-tomato masala along with “To Grind” ingredients. 4. Heat 1 tablespoon of oil in cooker and fry chicken for 2- 3 mins. Then add all the masalas under “To Grind” and “For Masala”. 5. Add salt. Mix well and pressure cook for 2 whistles. Finally, add corriander leaves. Now, Chicken Salna is ready!!! Serve: Hot Rice, Chappathi, Idly, and Parathas. This entry was posted in Chicken, SIDE DISH & GRAVY FOR ROTIS/NAAN & IDLY/DOSA on November 20, 2014 by vikashbhardwaz. A healthy and yummy green curry! I learned this curry from Chef Dhamu. You can have it with rice and also as a sidedish for Dosa, Idly andChappathi. Quite simple and easy to make too. 1. In a pan, add butter, fennel seeds (sombu) and coriander leaves. Fry well and grind it in a mixie/blender. 2. Heat butter in a pan, and add fennel seeds (sombu) and curry leaves (karuvepillai). When fennel seeds sizzle, add chopped onions and fry until onions turn light brown. 3. When onions turn light brown, add ginger garlic paste (enji poondu vizhudhu), chicken pieces, and salt. Cook for few minutes (say 4 minutes). Then add green chillies, chilli powder, coriander powder and sprinkle water. Cook for few more minutes (say 5 minutes). 4. Add thick tamarind paste (soak tamarind pulp in a glass of water and extract the juice) followed by ground coriander paste. Once you add coriander paste, boil for 4 to 5 minutes. You can see in the below picture how bright green chicken curry changes to dark green chicken curry. 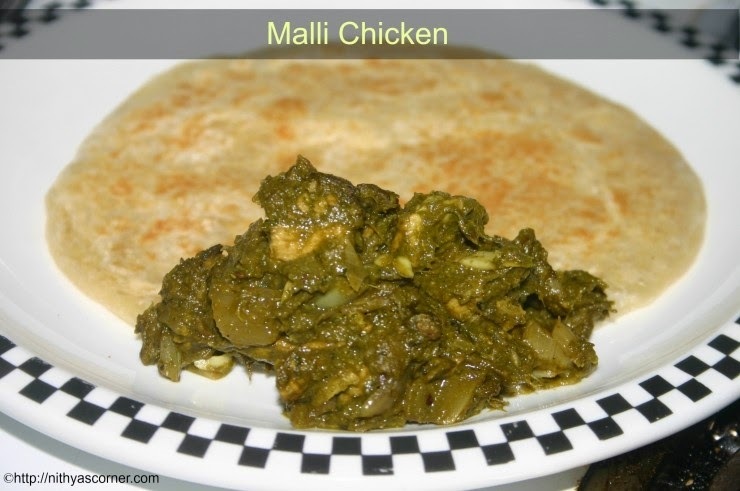 Now, Coriander Chicken/Malli Chicken is ready! 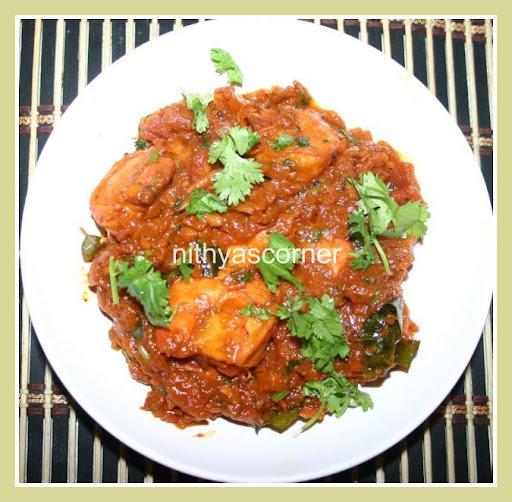 Pepper Chicken is a common recipe that is made in most of the households in Tamil Nadu. The recipe is very simple and easy to make. Pepper Chicken is the first non-vegetarian dish that I learned during my initial days of my marriage. Whenever I had guests at home, I would make this recipe confidently as this recipe can never go wrong. It is always a hit in my chicken. My husband also likes this dish so much. I love to have this Pepper Chicken with Cucumber Moru Kootu, and Poondu Rasam (Garlic Rasam). I make Pepper Chicken several times during winter as all of us would get running nose often. When writing an article Simple and Natural Home Remedies For Sore Throat, I learned that pepper provides a temporary relief to cold. Be careful while adding chilli powder and ground pepper as the dish may turn out very spicy. I did not add cloves, bay leaves and other spices as I thought fennel/saunf and cumin seeds will itself add so much flavor. My hubby Gj prefers my dishes to have less masala, but if you like spice and extra flavors, you can always add cloves, cardamom and cinnamon. Finely chopped onions – 2 nos. Chopped tomatoes – 2 nos. 1. In a pan, heat 2 teaspoons of oil and add cumin seeds. When cumin seeds sizzle, add finely chopped onions. When onions turn transparent, add ginger garlic paste. 2. Add curry leaves, and fry well till the raw smell of ginger garlic paste goes off. Add chopped tomatoes and fry well till tomatoes become little soft. Then add turmeric powder, chilli powder, and coriander powder, and salt. Stir well. 3. Fry well till the raw smell of the powders go off. Add chicken pieces and stir well for a minute. 4. Sprinkle very little water (2 tablespoons) and close the lid. Cook until the chicken is cooked. Meantime, grind fennel seeds and peppercorns to a coarse powder. 5. When the chicken is cooked, add the ground mixture and stir well for 2 minutes. Finally add coriander leaves. Now, Pepper Chicken is ready! You can add cinnamon, cloves and cardamom just before tempering cumin seeds. It is better to add fresh ground pepper as it will gives a good flavor. This entry was posted in Chicken, SIDE DISH & GRAVY FOR ROTIS/NAAN & IDLY/DOSA and tagged cumin seeds, Pepper Chicken on November 20, 2014 by vikashbhardwaz. Pepper Chicken Gravy is a sure cure for cold, cough and body ache. Small onions – 10 to 12 nos. Cloves (crambu) – 2 nos. Cinnamon (lavangam) – 2 small nos. Red chilli – 2 nos. 1. In a mixie/blender, add garlic pods, red chilli, cumin seeds, pepper corns and coriander powder. Make a fine paste by adding little water. Marinate the washed chicken in this paste with salt for one hour. 2. Pressure cook the marinated chicken with required water (say 2.5 glasses of water) for one whistle. 3. Heat oil in a separate pan, and sputter the mustard seeds. Add curry leaves, cloves and cinnamon, followed by finely sliced small onions and sauté till golden brown. 4. Add curry masala powder (or garam masala powder) and pour over the chicken gravy. Add salt as required. Close with the lid and simmer, stirring in between till the gravy is thick enough. Now, Pepper Chicken Gravy is ready! If you want a thicker gravy like the picture below, then keep cooking the gravy until your desired consistency is reached. If you want to make a fry, allow the gravy to cook till the water drains. Serve. With rice, rotis and dosa.